26 founders with a mixed public private capital. Its purposes are: organising professional training, and planning new strategies for economic, cultural, social and tourist local development. Fucecchio, Gambassi Terme, Montaione, Montelupo Fiorentino, Montespertoli, Vinci (60% of shares). • 14 trade unions and associations (15% of shares). Vocational Training courses for young people looking for a job. Training for people serving apprenticeship. Training for young people attending formative duty. High technical training for graduates in collaboration with Universities, colleges and firms. Training for migrants citizens, together with the Circondario Empolese Valdelsa municipalities and Empolese Valdelsa Intercultural Centre. Advice concerning services supplied by employment offices. training – work rotation method. A mixed course of study wherein participants alternate lessons, laboratory activities and traineeship agency. Basic vocational training, higher level, steady, permanent. With over 10 years of training experience, ASEV always maintained a placement close to 70%, within six months to the conclusion of training course. This positive result has been achieved thanks to the enterprises contribution which every year provide suggestions about job titles to train up. Courses effectiveness and specific technical – vocational competences transfer to young people who attend ASEV courses allow a better involvement within work context where they are called for. ASEV is a training centre recognized by Regione Toscana and it is also certified ISO 9001:2000. 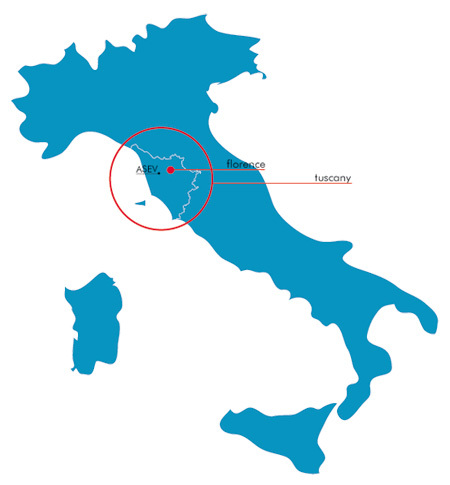 To make concreteness of own mission ASEV has been conducting a connection role between supply and demand of innovation, service and research, by setting up itself as a pivot amongst local enterprises and innovation centres in Tuscany. It has been fostering know-how exchanges with close territories already equipped of hubs to support innovation demand by the side of enterprises. In recent years ASEV has interpreted several specific demands of economics network by promoting and developing projects aimed to strategic replacements of productive network area. It has undertaken an active role in planning and management phases on projects realization concerning research and innovation of manufacturing enterprises. ASEV mission is also to promote technical scientific innovation of local productive network. For this reason various innovative projects have been carrying out in collaboration with several important local enterprises. laboratories operating in different branches of nanotechnologies. A growing number of more than 70 enterprises working with or willing to invest in nanotechnologies for improving own processes and products have already joined to NANOXM. ASEV finally is also member of the management board of the Regional Innovation Pole for Renewable Energies and Energy Efficiency.